The gaming community surrounding some games, genres and IP’s can really come through at times with some amazing creations. Fan made games have even evolved into full fledged standalone games that have been more successful than the original underlying game they were a mod for. And this time the fans at the Retro Sonic forums have really come through. Reviving a classic in all its glory. Members of the Retro Sonic forums have brought Sonic X-treme back from the netherworld and have released the first playable level. A small group of individuals over at the Sonic Retro forums have decided to revive a game that was supposed to be the first transition of Sonic into the 3D realm on the Sega Saturn and was supposed to compete with the likes of Mario 64 and Crash Bandicoot. The original development was rife with hardship and lacked any true support by the higher-ups in Sega, so it was thus cancelled. This cancelled status with the community development should protect them from any legal action. In order to facilitate the development, it appears that the forum members were able to take advantage of what appears to have been a dump of the entire original contents of the game, to include the game engine, that appeared on assemblergames.com. 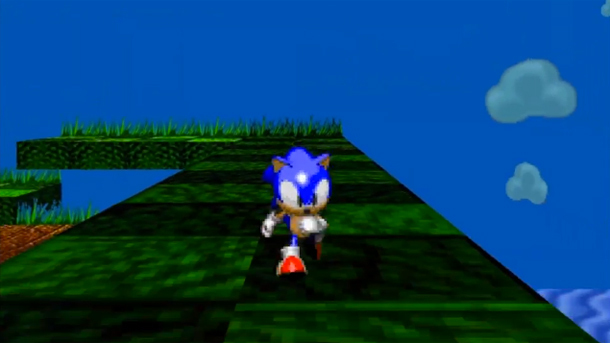 Andrew75, JollyRoger, Tichua, and Bormon over at Sonic Retro have been able to port the first level of the game into a playable, yet slightly buggy, form. The game they’ve produced thus far is absolutely amazing and definitely worth a play if you’re a fan. They promise to have it even further refined with more content in the future. It seems they have been able to take advantage of what appears to be the leak of the original assets and game engine. Sonic The Hedgehog brings back a lot of great memories for me. I remember playing the original and the second installment on the Genesis quite a bit when I was younger. I can remember a lot of late nights filled with soda pop and M&M’s while trying to speed my way and collect as many rings as possible. It’s a classic. I even remember collecting Sonic comic books and enjoying the original cartoon. Anyone else out there have fond memories of Sonic? So head out to the source link and take a gander at the newly minted OpenGL port of a great game that should have been.